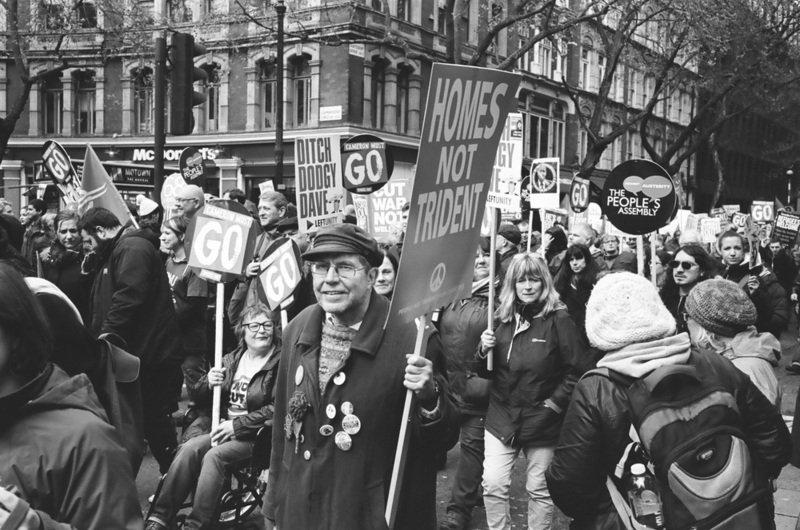 March for Homes, Health, Jobs, Education, London. It was time to put the Leica M6 through its paces with some photojournalism. Central London during the demonstration was a strange mix of locals, demonstrators and tourists, as a result I got some very strange looks while taking pictures. I didn't witness any trouble which was good at least, although I did see that many of the nearby stores had a significant security presence. I don't doubt there may have been one or two 'opportunists' there - I saw some loading their bags with beer while wearing V for Vendetta (Guy Falkes) masks. 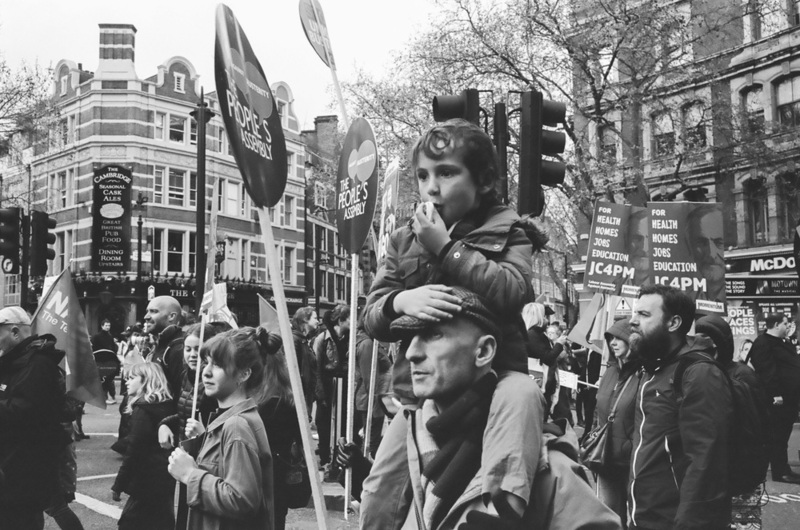 I stuck with using Kodak 400TX for the duration of the march but I did shoot a roll of Portra 400 when I popped over to Soho for lunch. Unfortunately I opened my camera to reload before actually rewinding the film - I must still have been a little hungover. 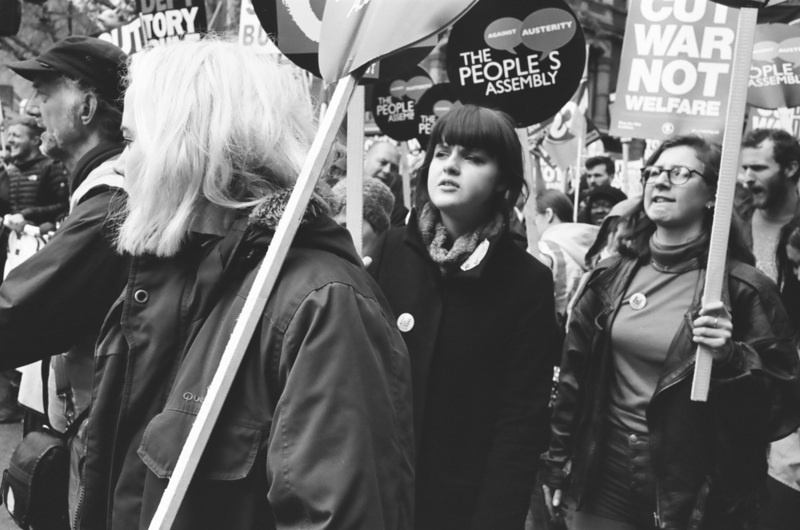 I feel that my pictures show a few different sides of the March.